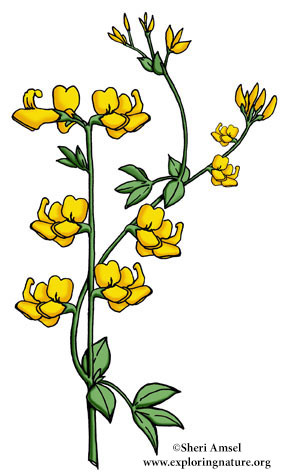 They are found in in fields and roadsides. 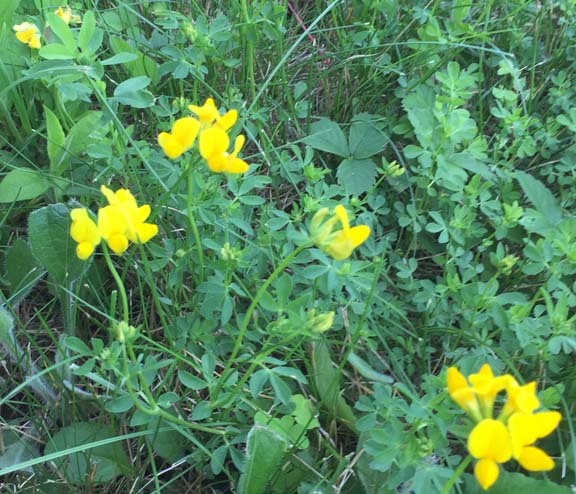 They are common plants, blooming in summer and looking like a mass of yellow out in a field. They are often buzzing with bees – their pollinator. Their leaves resemble clover and they are indeed in the same Pea family.